FreshPlanet optimized ios screenshots for their hit app SongPop2 – Music Quiz. The series of A/B tests identified that shorter captions with bolder graphics worked way better within ios screenshots. Thorough A/B testing with SplitMetrics resulted in 10% better conversion. FreshPlanet is the company behind one of the world's biggest music trivia games. SongPop also got the title of the best online game of 2013 by prestigious British Academy Games Awards. SongPop2 – Music Quiz is a music trivia game from FreshPlanet with more than 100 million users worldwide. This FreshPlanet creation challenges players to guess songs in multiple-choice quizzes. Teamed up with SplitMetrics, FreshPlanet gave users a different kind of quiz – to identify the best ios screenshots for their app page. They tested two app store page versions over 30 days to see which one performed better. The FreshPlanet team created the first set of ios screenshots following common app developer guidelines. Simple ios screenshots from the game and descriptive captions on top, the original creatives were pretty straightforward. The marketing team at FreshPlanet noticed that their competitors went for brighter, bolder, and “fancier” ios screenshots to stand out in app store search. They decided to try this approach but tested the concept as a whole first. The first and the original set of ios screenshots featured photos of real people competing against each other in a song quiz. The long descriptive captions on top lured gamers with “addictive trivia”, “all new party mode”, “cool rewards” and “thousands of songs in free playlists”. The second set of ios screenshots was inspired by Angry Birds bold app page design with gigantic short captions and oversized graphics featuring characters and gameplay. Instead of real people’s avatars, cartoon characters took up the first ios screenshot, and the caption was reduced to the succinct “LISTEN, GUESS, & COMPETE” in all caps. Popular female pop stars Taylor Swift, Selena Gomez, Katy Perry, and Lady Gaga ousted Maroon 5, Queen, Elton John, and Billy Joel of the original ios screenshots set. The second screen was completely revamped to make space for a huge podium with a crowned winner. All the five screenshots had a three-word caption limit and zoomed in on simple gameplay graphics. The updated version of ios screenshots swapped the first image with real people players for fun cartoon characters. Hypothesis: people like to throw on imaginary masks when they play games on their mobile devices. Is it possible that adults (a larger percentage of those who play SongPop2) identify themselves with funny and playful cartoon characters more than with the real people’s avatars in the original screenshot set? Many grown-ups can be as imaginative as kids. And the ios screenshots experiment results proved just that – with higher scroll rate and improved conversion. Descriptive and convincing captions of ios screenshots, detailing app’s key features, maybe a go-to solution for utility apps, but with the games, it seems like shorter, action-packed copy takes the prize. “LISTEN, GUESS, AND COMPETE” in all caps worked better than “The addictive trivia game featuring real music”, however good and straight to the point the original copy was. Bigger fonts, action verbs, and a how-few-words-can-you-get-away-with approach could be a recipe for a game app page success. The updated set of ios screenshots engaged a deeper blue shade and a cheeky combination of vivid green and yellow; all ios screenshot captions burst into distinctive vivid colors. With the change in color on the page, people interacted more with the app page and ultimately were more likely to hit the “Get” button. Color is a game-changing tool in a marketing designer’s toolbox. The right color choice within ios screenshots may reinforce the message and add to the “fun” factor of the game. It could be the single most important change you can make to increase conversion on your app page. An updated version of ios screenshots design with bolder graphics and shorter captions performed 10% better than the original version, ultimately decreasing the ad campaign CPI. The test also showed that most users of SongPop2 – Music Quiz installed the app after viewing the first two ios screenshots, so the design team put in more effort and time in making sure those two key images are polished to perfection. 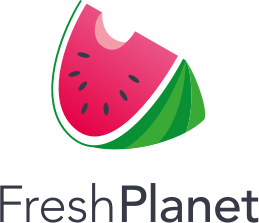 With SplitMetrics, FreshPlanet left the guesswork out of their app store optimization decision. By studying and analyzing ios screenshots of their competitors, the team came up with an updated design that could help them stand out. To prove the new concept, they tested the alternatives of ios screenshots and got the data they needed to make a change. With a simple A/B test of ios screenshots, FreshPlanet marketing team kept ahead of the game, winning with a higher conversion and a lower cost per install.